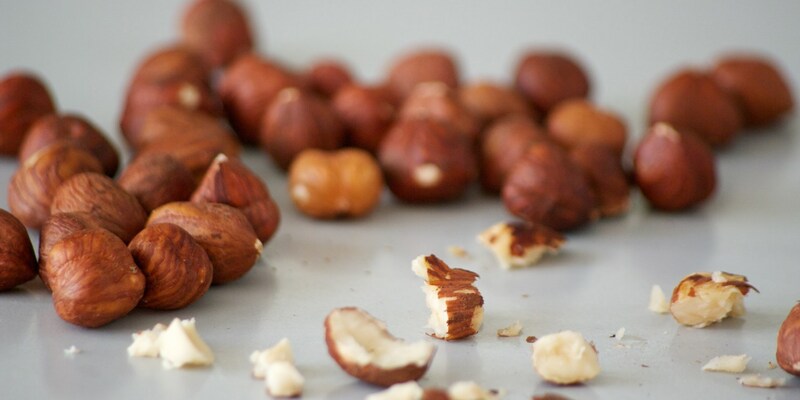 The hazelnut is regarded for its premium flavour and ability to be used in a number of guises; in a sauce like romesco or in cakes, brownies and salads. Their skins are bitter so are often removed by roasting in an oven and peeling away from the kernels. The kernels have a point at one end and a mild, buttery, sweet flavour. Indulge in this awesome collection of hazelnut recipes, including Dominic Chapman's hazelnut biscuits, Josh Eggleton's purple sprouting brocolli with hazelnuts and fig, hazelnut and ale cake from Nathan Outlaw.